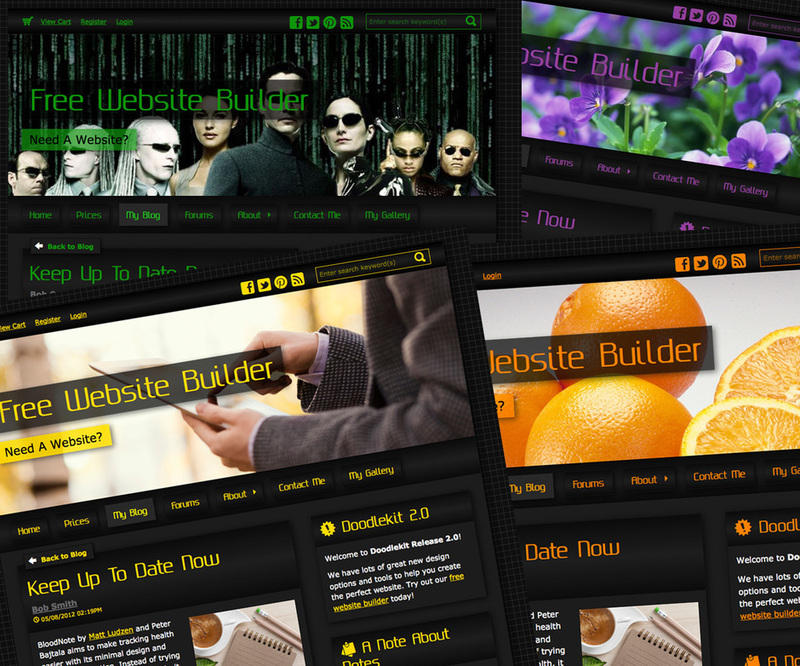 Its been a few weeks since I created any new templates for our free website builder. I'm happy to finally release a new group of them called 'Matrix'. They consist of different florescent colors used with black colored backgrounds. This gives them a futuristic and technical look. There are seven total - check them out when you get the chance!